Top Chef Boston is winding down with only one episode left! Three chefs remained to battle it out in this week’s episode “Holy Escamoly!” The remaining chefs returned for the three-part finale in Mexico. With only a few challenges left, the chefs have to be on their best game ever. Every detail counts and even a great dish could get someone sent home. Let’s take a look at how Mei, Gregory, and Doug did during this round of the competition. 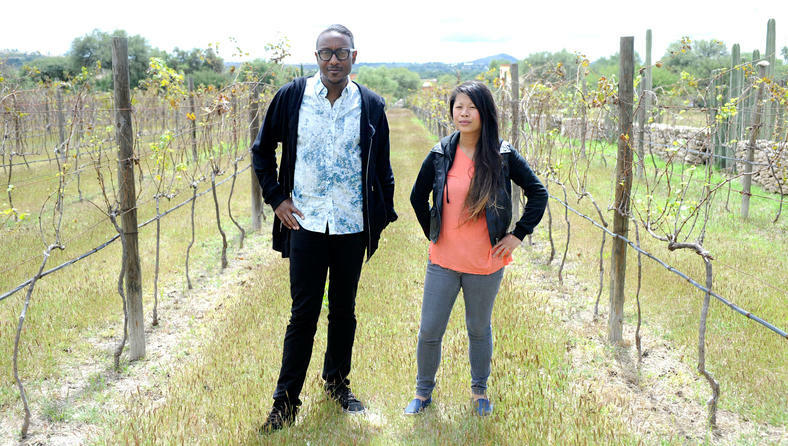 With tension at an all time high, the chefs arrived at Hacienda Purisima de Jalpa, a San Miguel de Allende, an organic farm in Mexico. The scenery was beautiful and the views went on for miles. However, the chefs were not there to relax. 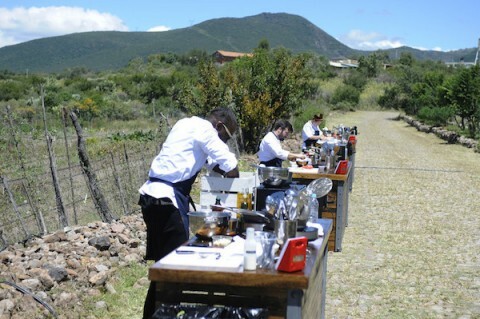 The final Quick Fire Challenge was announced and the chefs were asked to cook with the Mexican delicacy of chocolate. They had 45 minutes to cook two dishes, one savory and one sweet. They were encouraged to cook with the super fresh ingredients from the farm. Now none of them chefs were thrilled about the sweet element of the challenge. Mei and Gregory seem to embrace the ingredients to hype their dishes up, but Doug seems lost in the challenge. 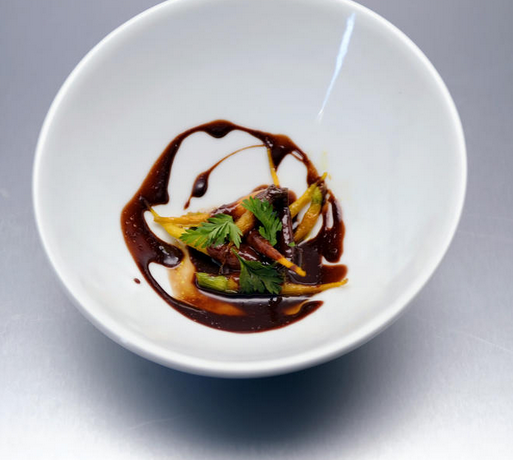 Gregory came out of the challenge on top with his winning dish of baby carrots with turmeric, dark chocolate and ginger. The guest judge even wanted to know if he could use it in his restaurants. Good job Gregory! Mei ended up in the middle with her chocolate duck concoction and her chocolate dessert yogurt. Doug was his own worst enemy and barely served dessert. He basically presented the judges with some melted chocolate and called it a day. The elimination challenge would encompass the chef to all work together to form a six-course meal that had a consistent flow. They were to focus their dishes around six Mexican ingredients. It basically became a game of who called it first to see who would end up with what. Gregory took guava and poblano peppers. Mei chose to work with avocado and huitlacoche. (A fungus that grows within corn) That left Doug with queso and escamoles. Escamoles are ant eggs, a big delicacy in Mexico. Doug was less than thrilled with his choices, but he decided since Katsuji was his sous chef, they would be able to tackle the ingredients. The chefs went to the market and gathered their ingredients. They then entered the kitchen where they would have two hours to prep and cook the meal for the judges. They decided to serve the meal from light to heavy and finish with Doug’s cheese course. Throughout the process Doug was very hesitant with his main ingredients. Mei stuck to her technical routes and honored the ingredients she had. Gregory went all out and used what he knew about the ingredients to his advantage. Overall Gregory came out on top serving chilled guava soup with bay scallops, habanero, and mint as the first course. He later served pork and poblano stew with tomatillos which the judges were thrilled with. With those two dishes Gregory was back on top! This left Mei and Doug to battle it out for the remaining spot in the finale. Doug seemed to get lost with his ingredients, especially when it came to highlighting the escamoles. The judges did seem to enjoy his queso chesse course so that was a positive. 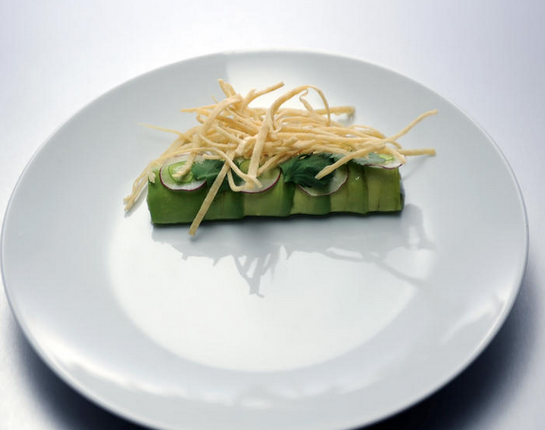 The judges thought Mei went to simple with her avocado role, which she stayed super simple with to highlight the ingredients. Her corn broth based soup highlighting the huitlacoche was what won it over for the judges. Mei stole the spot in the finals from Doug by the skin of her teeth. Next week we join Mei and Gregory in the finale for the final face off. I am hoping that Mei wins this one. Who do you think will win? ?